Save time by purchasing shredded cheese in an 8-oz bag. 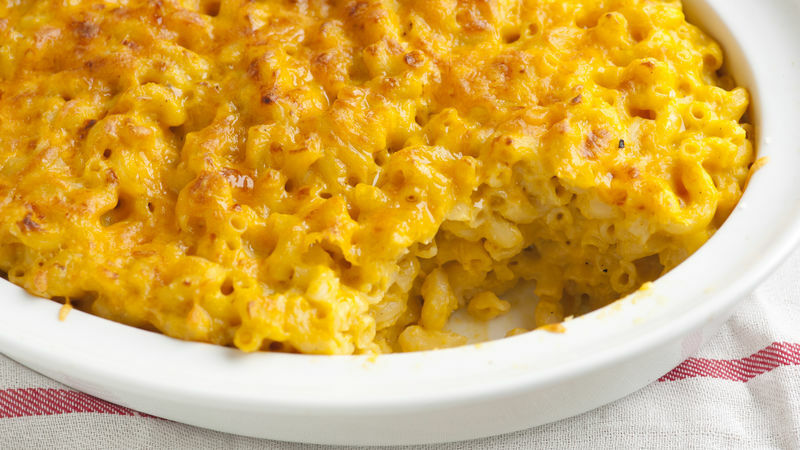 For an extra-crispy top, after baking, set the oven control to broil, then broil the macaroni and cheese for 1 to 2 minutes or until the top is browned and bubbly. Don’t use a glass baking dish if you plan to do this step, as glass dishes can break under the broiler.